Invited application from Flood and River Erosion Management Agency of Assam in short FREMAA Assam Recruitment 2018 for the contractual basis Accounts Assistant in various 4 position. 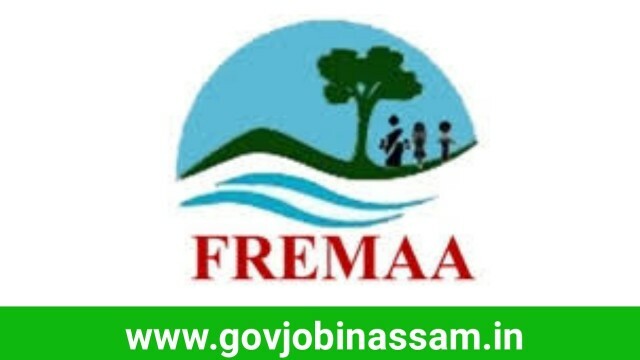 Interested candidates may apply offline for the following job vacancies in FREMAA Assam Recruitment 2018. Candidates have to Graduate in Commerce/Finance with knowledge of Tally ERP 9.0 Experience 5 years of experience in similar work profile. Rs 31,000 per month plus allowances as applicable. The incumbent will be responsible for assisting the Subproject Implementation Offices and FREMAA in all accounting and financial matters like, keeping records of all transactions, maintenance of Cash Book manually and in Tally, preparation of BRS, Audit works, preparation and checking of bills, preparation of financial reports for submission to FREMAA, etc. Interested candidates have to apply offline for the following job vacancies in FREMAA Assam Recruitment 2018. Candidates have to submit their Applications along with following documents should be send to Chief Executive Officer, Flood and River Erosion Management Agency of Assam (FREMAA), 4th Floor, Nayantara Building, Six Mile, G.S. Road Guwahati — 781022. Chief Executive Officer, Flood and River Erosion Management Agency of Assam (FREMAA), 4th Floor, Nayantara Building, Six Mile, G.S. Road Guwahati — 781022.